Certolizumab 400 mg or 200 mg taken every 2 weeks found to be safe and effective for the treatment of moderate-to-severe chronic plaque psoriasis, according to a study published in the Journal of the American Academy of Dermatology. Certolizumab pegol binds to soluble and membrane-bound TNF-α, inhibiting the proinflammatory actions of this cytokine. Alice B. Gottlieb and his associates conducted a study to assess the efficacy and safety of certolizumab versus placebo in phase 3 studies. The study found that Week 16 endpoints were significantly greater for both doses of certolizumab versus placebo, and responses maintained through Week 48. For most measures, the improvement was numerically greater for certolizumab 400 mg. Certolizumab 400mg was superior to etanercept(placebo), while certolizumab 200 mg was non-inferior. 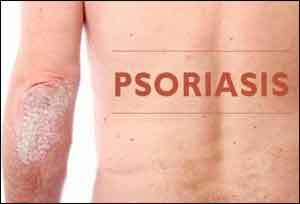 The study concluded that treatment with either certolizumab 400 mg or 200 mg every 2 weeks was associated with significant, clinically meaningful improvements in moderate-to-severe psoriasis. The 400 mg dose may provide additional clinical benefit. The safety profile was consistent with the therapeutic class.